Preview ahead of the final group games. One thing has become clear in this World Cup: Anything is possible. Throw the common wisdom out the window. The reigning champs are already out. Three teams from CONCACAF, the confederation of North and Central American teams, could make it to the knockout round for the first time ever. In Group C, the supposed group of champions, three teams ranked in FIFA’s top 10 — former World Cup champions Italy, England and Uruguay — were supposed to fight it out for two spots in the knockout stages. Instead, unheralded Costa Rica are through and currently top the group, England are out, and Uruguay and Italy face off for the right to move on. The four tournament favorites have all looked beatable. Brazil drew with Mexico, Germany drew with Ghana, Argentina needed a stoppage time goal to beat Iran, and Spain is out of the tourney. Mexico, Ghana and Iran are ranked No. 20, 37, and 43, respectively, by FIFA. Yes, all but one of the early teams to clinch advancement are highly ranked teams. But so much remains open that it feels like a different sort of tournament. Goal-scoring is up. Games are wild. This kind of thing doesn’t often happen. Eliminated: England, Bosnia-Herzegovina, Australia, Spain, Cameroon. Advanced to second round: Netherlands, Chile, Costa Rica, Colombia, Argentina, Belgium. Several groups feature matches between two teams fighting for the same spot in the second round, notably Mexico-Croatia on Monday and Italy-Uruguay on Tuesday. There is even the unlikely but possible scenario that one second-round spot could bedecided by a coin flip between Nigeria and Iran. For full tiebreaker rules — and they definitely matter, certainly for Team USA — click here. Group H might not be the most enterprising group of the tournament, but it is certainly the most intriguing. 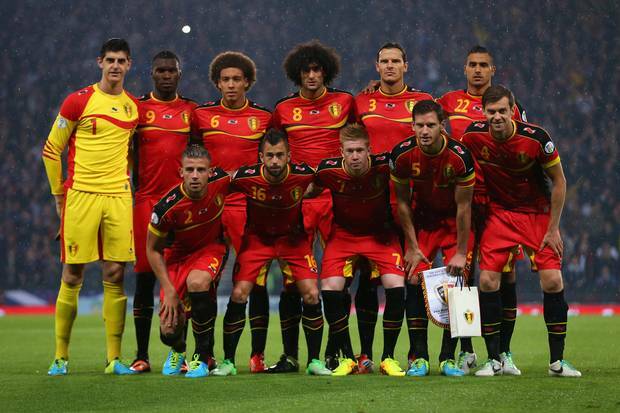 Belgium are without a doubt, the standout team in this Group and would be expected to qualify as Group winners. But, who takes second spot is still open for debate. Russia look like the most plausible candidate, but they are known to be inconsistent. Although South Korea aren’t as good as they were in 2002, they still have some quality going forward. Algeria on the other hand, have a young, attacking and enterprising unit and are known for making it difficult for the big sides, which would make them a threat for anyone. All six encounters in Group H will be hosted by different cities – Belo Horizonte, Cuiaba, Rio de Janeiro, Porto Alegre, Sao Paulo and Curitiba. Most of the games will be played in mild weather conditions, which is set to give the team going through a big advantage as the tournament progresses. Located in the third largest city in Brazil, it took three years and £185m to give the historic Estadio Mineirao its stunning brand-new look. Described by FIFA secretary Jerome Valcke as, the stadium will host a semi-final. 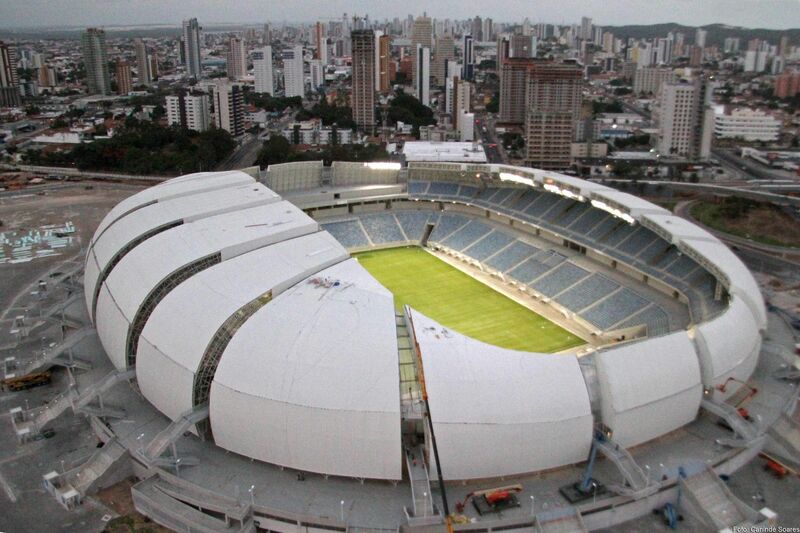 One of the smallest stadiums, purpose-built for the World Cup, Arena Pantanal will host four group games. Situated in the western part of Brazil, the region experiences some scorching heat, so it is unlikely that any of the clashes are fast and furious. The historical Maracana, which could hold 200,000 people and played host to the 1950 FIFA World Cup, underwent major reconstruction prior to the 2013 FIFA Confederations Cup. This new stadium will host the opening and closing ceremonies, along with this year’s final. Situated the furthest south of the host cities, Estadio Beira-Rio faces a frenetic finish to see if all the amenities inside the stadium can be completed on time. One of the coolest of all the 12 venues, it will play host four Group games and one second-round clash. Situated on a plateau in the south-east, on the Atlantic coast, this is a high-altitude stadium and one that will be the new home to the famous Corinthians football club. The brand-new stadium will play host to the opening match of the tournament between Brazil and Croatia. The second-highest stadium in this year’s world cup, the stadium is located in one of Brazil’s coolest places, one which even saw snow fall this year. Home to Atletico Paranaense, this stadium was almost stripped off its World Cup hosting rights after a flurry of delays, but has now been given the green light to host four Group stage encounters. Currently at 11, Belgium are the highest-ranked team in Group H and have also made the most appearances in the World Cups compared to their opponents. Six of the team’s overall 11 previous campaigns were part of a successive streak that started from 1982 and ended in 2002. The furthest Belgium have ever progressed was in the 1986 edition, where they finished their campaign in fourth place. The Western Europe nation qualified for the 2014 World Cup after an impressive performance in their Uefa qualifiers, where they won eight of their ten matches, drew two and lost none to finish atop Group A. The current Belgian side has been dubbed the ‘new golden generation’ by the media, having achieved an all-time high fifth Fifa world ranking in October 2013. Les Diables Rouges have players like Eden Hazard on the flank, who can make excellent scoring opportunities from that position. Their midfield will also be strong will Maruoanne Fellaini and Axel Witsel bringing experience from playing in the Champions League. For more information, read Belgium Team Preview. In their nine appearances at the World Cup, Russia’s best result came in 1966 where they managed to reach the semi-finals. They did not fare badly in the 1958, 1962 and 1978 either (finishing their campaign at the quarter-finals stage), but went downhill thereafter. Sbornaya’s recent best result came in the Euro 2008, where they finished semi-finalists. The hosts of the 2018 World Cup qualified for this year’s event from the top of their group after a 1-1 draw with Azerbaijan in their last game. Arguably the second-best team in the group, they will be hoping to get into the second round, in which they will likely be facing Germany. While Capello will be looking to redeem himself in this World Cup, it is going to be incredibly difficult. Whether they finish first or second, they will have to beat either Germany or Portugal to go through, which looks highly unlikely, given the lack of talent at his disposal right now. For more information, read Russia Team Preview. The highest-ranked team in Africa as of June 5, Algeria have played in the 1982, 1986 and 2010 Fifa World Cups but have never progressed further than the first round. The current side will be looking to play for pride as much as for victory; the team was unable to score a single goal in their three games at the last World Cup, which included a goalless draw against England. They have a talented but young bunch of players, some of whom ply their trade in Europe for some less-fancied sides. The likes of Sofiane Feghouli, Nabil Ghilas, Saphir Taider and Ishak Belfodil form a core group of players who will be key to their chances. The fact that they are the highest ranked African side in this World Cup shows that they are by no means a pushover. Renowned for pulling off some famous World Cup shocks, like West Germany in 1982 and England in 2010, Algeria will be looking to throw a spanner into the works of the other three sides, while at the same time hoping to finish second and go through to the Round of 16. For more information, read Algeria Team Preview. South Korea are one of the most successful teams in Asia, having participated in eight consecutive and nine overall Fifa World Cup editions — the highest number for any Asian team. Starting from 1954, this will be the 10th time that South Korea will appear in the mega event. Although they have failed to achieve a win in five of their World Cup outings, South Korea became the first and only Asian team to make it to the semi-final stages in 2002, when they co-hosted the event with Japan; their fourth-place finish is the team’s best result to date. 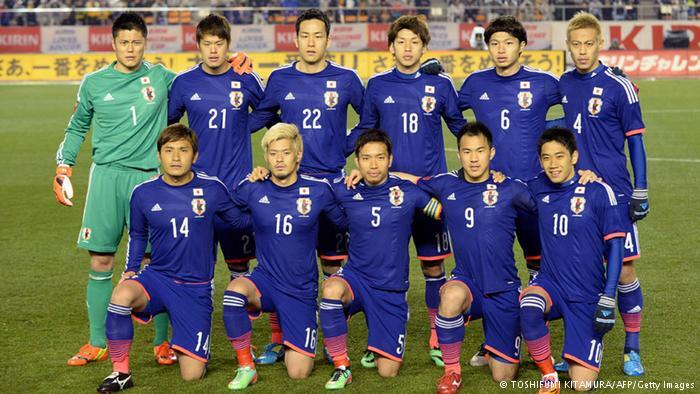 The team narrowly qualified for the 2014 World Cup by finishing second in their group via goal difference in the Asian Football Confederation qualification round. Their present head coach Hong-Myung Bo captained the team in its impressive 2002 show and is also the most-capped player (136) in the entire history of the nation’s football. The Taeguek Warriors will need to ensure they are able to retain possession in midfield and bring their skilled attacking players into play. Both tasks will be primarily the responsibility of Sunderland loanee Ki Sung-yueng. Ki has enjoyed an excellent second season in the Premier League, acting as a major driving force for the Black Cats as they both reached the final of the League Cup and avoided what had seemed to be certain relegation. For more information, read South Korea Team Preview. Belgium vs Algeria: The group’s first game will tell us how good this Belgian outfit really is and whether they are worthy of their underdogs tag. It will tell if this Algeria are underdogs or just underrated. Belgium vs Russia: The last time these two met was in the 2002 World Cup, where current Belgian Coach Marc Wilmots scored a winner. Should his side manage the same this time around, they will be guaranteed of top spot and will likely avoid Germany in the Round of 16. The Belgians are without a doubt, the overwhelming favourites to claim top spot. Their strength and depth means that is very likely, thus making the scrap for second place something to watch out for. Russia look favourite to claim that spot, but both Algeria and South Korea will be looking to play spoil sports and register a famous victory over the Russians. But, the experience of Capello might just help Russia beat them both and claim second spot. Whatever happens, one thing is for sure, whoever finishes in the top two are set to face some fierce competition in the Round of 16. With their vast World Cup experience and line-up of some of the most productive European footballers – including Premier League champions Manchester City’s captain Vincent Kompany – Belgium seem to carry weight in Group H and may make it to the knockouts. However, Russia can pose a threat as they go into the World Cup with burning ambitions to do well before they host the 2018 edition. South Korea gave their best performance on foreign soil in the 2010 World Cup, when they made it to the last-16 round, so they may make the higher-ranked teams struggle. Algeria seems the least threatening team of the group, having never progressed further than the initial group stages. Touted by many as the alternate ‘Group of Death’ to Group D, which consists of Uruguay, Italy and England, Group G will be among the most fiercely contested groups in the early stages of the World Cup. Consisting of Germany, Portugal, Ghana and the USA, Group G will be among the ones to watch out for in terms of competition. 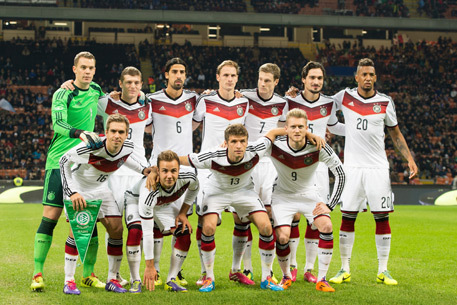 Among the teams in the group, only Germany have tasted FIFA World Cup success; on three occasions. Portugal have always flattered to deceive, Ghana have emerged on the football map only recently, while the USA have never really threatened the big boys of world football. The matches of Group G will be held at 6 different venues. Estadio Castelao, at Forteleza is at mean sea level but the temperatures there peak up to 32 degrees celsius. Coupled with that are the nearby coasts, therefore we could expect potential rains and strong winds. Arena Pernambuco, in Recife is a dangerous arena with the city averaging 224 days of rain a year, and the months of June and July being the wettest. The humidity in this region is high during these months, which will make the players’ job very tough, and bodies will have to be in perfect shape. Arena Amazonia in Manaus follows suit with wet conditions and a 40% chance of thunderstorms and expected humidity up to 80 %. Located in the Amazon Rainforest region, Manaus is far away from most teams’ bases for the World Cup, and the travel and humidity are bound to sap the energy out of the players. Estadio das Dunas, in Natal is the most punishing arena with an average humidity of 97% in the middle of June. This could result in a lot of tiring and frequent drink breaks, with Ghana and USA upon whom this arena is thrust. Estadio Nacional in Brasiilia will be among the more comfortable stadiums to play in, especially for the European teams. Mean temoeratures in June ar around 27-29 degrees celsius, but humidity levels could be a concern. 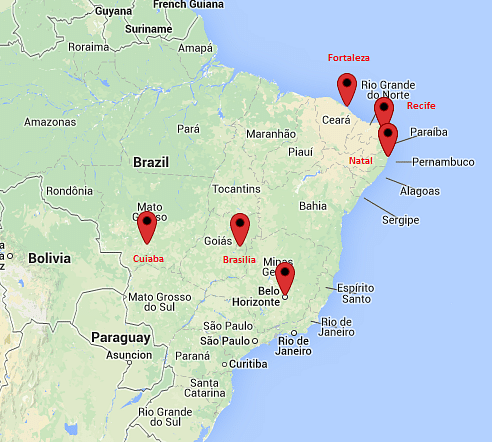 In late June, when Group G’s Brasilia match is scheduled to be held, humidity levels average in excess of 90%. Therefore again, tiring and frequent breaks can be expected. Arena Fonta Nova in Salvador is a typical Brazilian venue, with temperatures averaging around 29 degrees celsius, and humidity levels ranging from 75-85%, on an average, in June. With two Europen sides playing in Salvador, Germany and Portugal could have a tough time, especially with that match being both teams’ first in the tournament. Being the recent underachievers of international football, Germany have failed to halt Spain’s dominance despite being rated as one of the strongest teams in the world. Losing 1-0 in the Euro 2008 final and in the 2010 semi-final of the World Cup to eventual champions Spain, the German squad, symbolic of efficiency, has been consistently halted by the European juggernaut. Coach Joachim Loew’s squad cruised in their qualification, remaining undefeated and scoring 36 goals in 10 games. Regardless of the onslaught, the German fans are pessimistic about Die Nationalmannschaft’s chances, as the team’s recent endeavours have failed to live up to expectations. But qualifying for the knockout stage is almost inevitable, despite being in a difficult group. They have among the most balanced squads in the tournament, with a perfect blend of youth and experience, and how Joechim Loew handles the squad will decide how they perform in the tournament. The injury to Marco Reus will no doubt weaken the Germans, but if there in one team in the tournament capable of handling the no-show of player of the calibre of Reus, it is Die Mannschaft. Loew’s squad is a mix of extremely talented youngsters and some big-names who have what it takes to shine in the penultimate stage of the tournament. Germany’s record scorer, Miroslav Klose, has also been included to support striker Lukas Podolski. Paulo Bento’s Portugal had to go through an immense struggle to reach Brazil as a two-legged playoff against Sweden could have gone either way, if it wasn’t for star player Cristiano Ronaldo, who scored four goals in the two games. Captain and record scorer Ronaldo will be the obvious player under the spotlight, as the Ballon d’Or winning Real Madrid superstar is expected to carry the weight of his country on his back. Ronaldo will be looking at the Argentina squad of 1986 for inspiration, which was led to triumph singlehandedly by Diego Maradona, to guide his team in similar fashion to their first World Cup. Other key players for Portugal include Real Madrid’s Pepe and the midfield duo of Raul Meireles and Joao Moutinho. For more information, read Portugal Team Preview. The Americans have achieved their best performance of the World Cup when they finished third in the tournament’s first edition in 1930. Qualifying for every World Cup since 1990, Jurgen Klinsmann leads a buoyant USMNT to Brazil and faces the daunting prospect of facing his own nation and Cristiano Ronaldo. 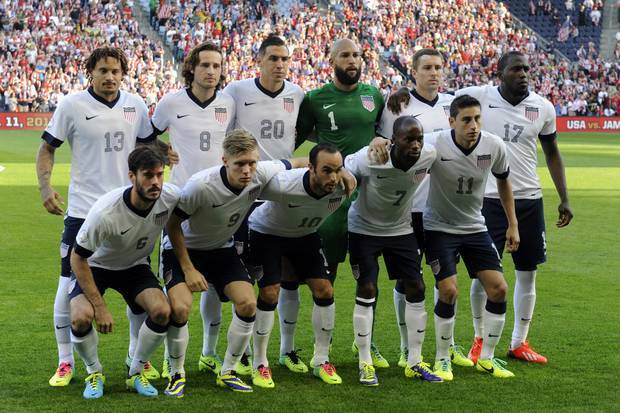 The US will do extremely well to get out of the group stage, and their hopes will rest on the likes of Jozy Altidore and Clint Dempsey in the absence of long time star Landon Donovan. In defense, Stoke City’s Geoff Cameron and Everton Goalkeeper Tim Howard will have huge roles to play. 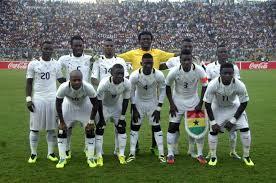 “The Black Stars” have been Africa’s sole light in the last two editions of the FIFA World Cup. They were denied in 2006 by the brilliance of Brazil in the Round of 16, while they went one better in 2010, when they were cruelly denied by the Hand of Luis Suarez, and a missed penalty by Asamoah Gyan that followed. 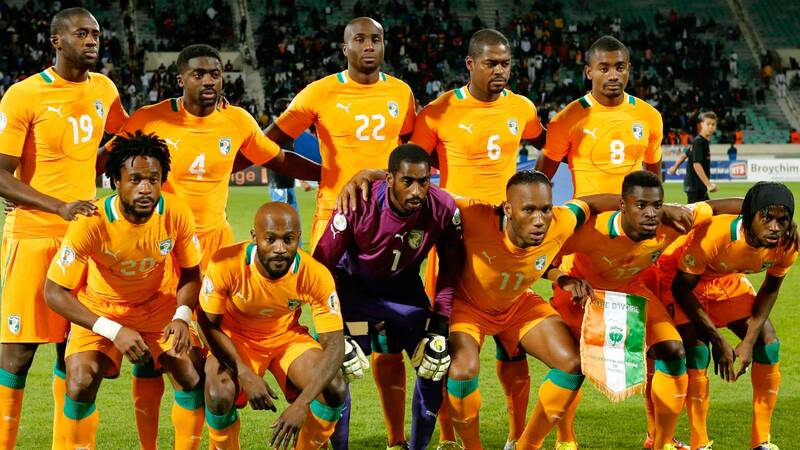 Pitted against two European powerhouses, the four-time African Cup of Nations winners can consider it an achievement to even reach the knockout stage of the tournament. Ghana’s performances in the Africa Cup of Nations have been below par, and they will hope for a strong showing in Brazil. Ghana are in relatively good form, winning five of their six matches in qualifiers and being the top scorers from Africa with 25 goals. The experienced team will welcome back AC Milan holding midfielder Michael Essien, who will be crucial for the team’s success. Kevin-Prince Boateng will play the vital role of carrying his team in an extremely difficult group. The former Tottenham Hostpurs man has been involved in controversies, but the flair he brings on the pitch makes him the exciting player he is. This is a game that could well decide who tops the group. WIth Portugal likely to receive a boost with Ronaldo’s return from injury and Germany receiving a blow with Reus’ injury, the teams start on a slightly even field. Especially with it being the first game of the tournament for both sides, it might be a dull, cagey affair. But that is not how Loew sets his teams out. So one can only hope for an open, free-flowing game of attacking football. The last game in this group. One would expect that, by this time, Germany would have wrapped up top spot in the group. So, this game might well be a virtual knockout game, with the loser bowing out of the tournament. One would expect Germany to top this group, by winning all their three games, and I tip Portugal to pip Ghana to the second qualifiction spot. So, even though, this is an alternate ‘Group of Death’, I expect the results to be pretty straight-forward, with the fancied teams progressing to the next round. Group G can produce some cracking encounters as four well-equipped squads will battle it out to reach the knockout stage. But there is a realistic prediction that can be made on who is most likely to qualify. Germany will definitely be the favourites, followed closely by the Ronaldo-led Portugal. Ghana and the US both have commendable squads of experienced players and a history of recently successful campaigns in the World Cup backing them to cause an upset against the two European giants, but only time will tell if they can shock the football world. Group F at the 2014 FIFA World Cup comprises of South American giants Argentina, European newcomers Bosnia-Herzegovina, African champions Nigeria and Asian representatives Iran. Argentina, a traditional football powerhouse, have flattered to deceive in recent international competitions but have been blessed with a fairly comfortable group to wade through. Bosnia-Herzegovina will be making their debut in the FIFA World Cup finals, having failed to qualify in four previous attempts. Nigeria, crowned African champions in 2013, are making their fifth appearance at the World Cup while Iran have benefitted from their diasporas in European nations to continue their unusual trend of qualifying for alternate World Cup finals since the turn of the century. Each of the six encounters in Group F will be hosted by different cities – Rio de Janeiro, Curitiba, Belo Horizonte, Cuiaba, Porto Alegre and Salvador. The opening game between Argentina and Bosnia-Herzegovina will be staged at the fabled Maracana Stadium in the picturesque seaside city of Rio de Janeiro. This historical venue was once the largest stadium in the world with a capacity close to 200,000. Originally built for the 1950 FIFA World Cup, the Maracana underwent major reconstruction prior to the 2013 FIFA Confederations Cup. It will also host this year’s final. A modernisation project which cost $287 million has completely changed the look and feel of this arena located in the third largest city in Brazil. This venue will also have the privilege of hosting a semi-final. The Arena Fonte Nova is a brand new stadium constructed for this tournament. Completed in April, it was in the news recently after a part of the roof collapsed due to torrential rains in the port-city. It will play host to the final game of Group F and one quarter final. It’s a race against time for the organisers to get this stadium ready for the event with FIFA also recently voicing its concern over the progress of work. Fans from Argentina and Nigeria have a treat on their hands in this football-mad city, also home to local clubs Gremio and Internacional. Located in the western part of the country, this stadium is slated to host four group stage fixtures. This region experiences scorching weather conditions in the summer with temperatures rising upto 40 degrees centigrade. 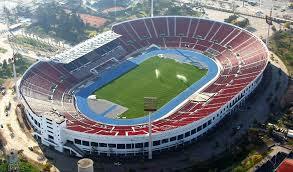 Home to Atletico Paranaense, this stadium was almost stripped off its World Cup hosting rights after an inspection by FIFA at the turn of the year. It is considered to be one the most modern stadiums in Brazil equipped with state-of-the-art facilities for players, fans and media personnel. Argentina, ranked fifth in the world, would want to take the trophy in their regional arch-rivals Brazil’s home turf this time. They displayed their class in the friendly they won 3-0 against Trinidad & Tobago, letting everyone know that they are playing in the 2014 World Cup to take home no less than a win. The team’s record at the mega event has been impressive, as they have bagged the biggest title twice. In this edition of the tournament, the squad has been prepared by Alejandro Sabella, also known as ‘the Magician’, while the beloved Lionel Messi will continue to lead the team. Ever since Mario Kempes and Diego Maradona led their country to two World Cup trophies in 1978 and 1986, respectively, Argentina have failed to fulfil their potential and make a mark in the international arena. They have failed to get past the quarter-finals stage since 1990. But with a frontline (Messi, Aguero, Higuain, Di Maria) that would scare the living daylights out of any defence in the world, expectations have risen but so has the pressure on Sabella’s side to deliver. The Sabella-Messi combination has proved to be fruitful for Argentina, and Sabella’s first decision as the coach was to make Messi the captain of the side in 2011. 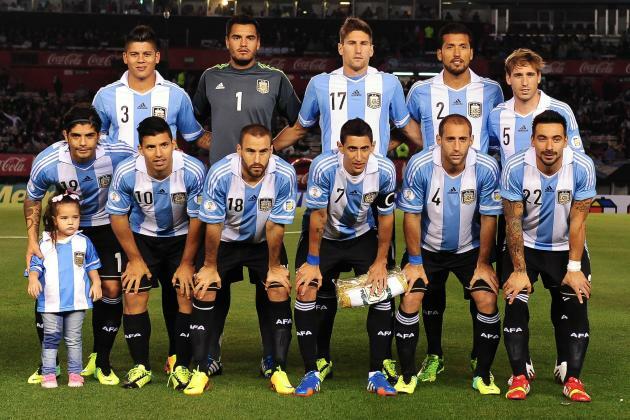 For more information, read Argentina Team Preview. The mystery team for the Group F will be Bosnia and Herzegovina. The team’s most impressive feat on paper is their Fifa ranking. They are the second best team after Argentina in the group, ranked at 21 in the world. This will be the debut for a nation that arrived at the football circuit in 1995. Manchester City star Edin Dzeko together with Vedad Ibisevic and Miralem Pjanic will be the players to watch from Bosnia and Herzegovina. With a growing number of players from this country plying their trade in some of the best clubs across Europe, Bosnia-Herzegovina have finally found the right mix of talent which has propelled them to their first-ever World Cup finals. The likes of Dzeko, Spahic, Pjanic and Begovic have successfully carried their excellent club form to the international level which also resulted in a stellar qualifying campaign. The Bosnian side scored 30 goals and conceded just six in their ten qualifying games. For more information, read Bosnia & Herzegovina Team Preview. 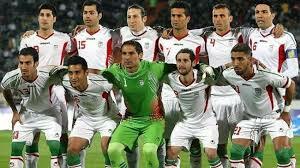 Iran are a single step ahead of Nigeria on the 43rd position in the Fifa world rankings. Their team is led by Portuguese coach Carlos Queiroz, who is a former Real Madrid manager. He signed a two-and-a-half-year deal with Iran’s national football team, which will end after the World Cup. Their forward Reza Ghoochannejhad, captain Javad Nekounam and Karim Ansari will be on the radar of the players to watch. With a tough group stage staring at them, Iran might not be able to make much headway in the tournament, but the standard of football in Iran has been given a huge boost with several players now foraying into European club football. A victory for Iran would be counted as an upset and will put the cat among the pigeons in Group F.
For more information, read Iran Team Preview. The Nigeria-Argentina fixture in the world cup has now become a tradition. They have met four times before. Nigeria are better known as the team against which Argentina legend Diego Maradona played his last match in the World Cup. The South Americans won 2-1 in 1994. The main players who can make an impact for Nigeria in the grand event are midfielders John Obi Mikel, Victor Moses and Victor Obinna. Stephen Keshi has steadily groomed a side with the right mix of youth and experience and the seeds of his efforts bore fruit when Nigeria romped to glory at the African Cup of Nations in 2013. 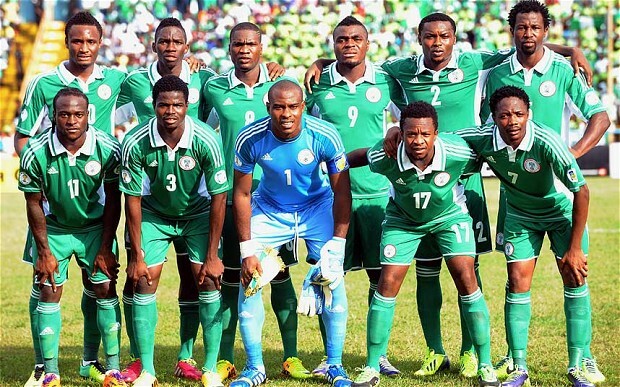 Nigeria’s squad for Brazil 2014 resembles the squad which lifted the trophy last year. But Nigeria have failed to go past the first hurdle in their last two World Cup finals and with a group as tightly contested as theirs, John Obi Mikel and his boys will have to perform out of their skins to upset the odds. While most people have predicted a relaxed group stage journey for Argentina, Alejandro Sabella will be mindful of the form that Bosnia and Herzegovina are carrying into the tournament. Edin Dzeko would be itching to take advantage of the South Americans’ defensive deficiencies and any kind of complacency that might creep into the Argentinian camp. Bosnia won’t have anything to lose and they can be expected to go all out in the opening clash of Group F. The winners of this game are certain to emerge as table-toppers. The likely tussle between Bosnia and Nigeria for the second place will reach its summit when the two sides go head-to-head in Cuiaba. With both sides expected to lose to Argentina and defeat Iran, this game could turn into a potential knock-out for either side. A draw would bring Iran into the picture and make the permutations even more interesting. Coaches from both camps, Stephen Keshi and Safet Susic, would already be preparing for this tie which could have far reaching repercussions on their World Cup aspirations. Argentina, with all their class and oodles of talent, should end up as comfortable group winners with the physical Bosnian side the only one that could bother the South Americans. Messi and co. will be hoping to bag all nine points on offer and avoid a potential round-of-16 encounter with France. It will be a close fight between Bosnia and Nigeria for the second spot and whichever team comes out on top in their duel should qualify for the knock-out stages. The quality of the Bosnian team should be able to surmount the challenge of the Africans. Carlos Queiroz and his team should savour the experience of the World Cup finals while they can, as Iran might have to return home empty-handed from Brazil. Switzerland were strong in the qualifiers, getting through to the finals with a game to spare and have a great chance of topping Group E. France has a squad of big name players but the focus will be on whether they can play as a team, and not have a finals dominated by player politics as in previous world cups. Controversially Didier Deschamps decided to leave Sami Nasri at home for these reasons. Ecuador have an outside chance, they will be better equipped to deal with the climate over their European rivals who hale from a much milder climate. Estadio Biera-Rio having a capacity of 50,000 people approximately, will host the 2nd game of group E between France and Honduras. The stadium is known for its unique location in Porto Alegre, as it is placed right next to the Guaiba River. 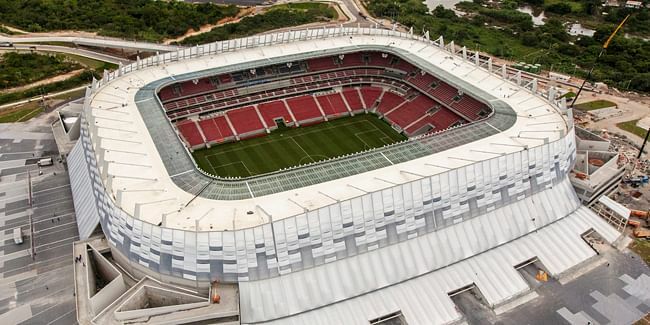 Capacity: 55,000 The Arena Fonte Nova is a brand new stadium constructed for this tournament. Completed in April, it was in the news recently after a part of the roof collapsed due to torrential rains in the port-city. It will play host to the 3rd game of Group E and one quarter final. 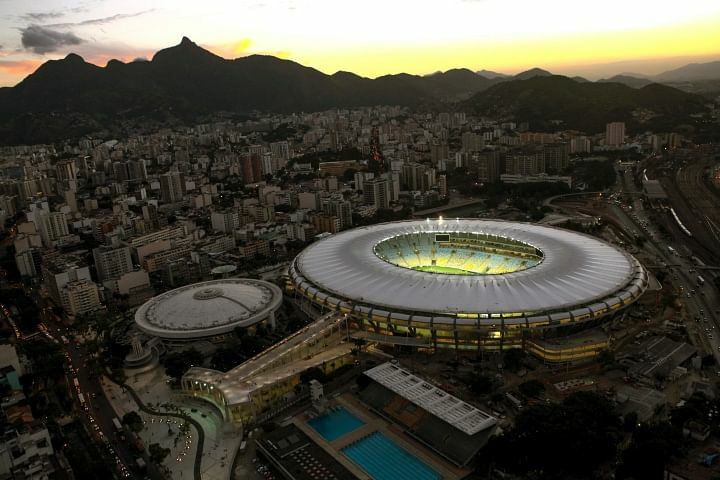 The Estadio do Maracana located in Rio de Janiero, is the grandest stadium of the Selecao. With a capacity of 75,000 people approximately, it will host the game between Ecuador and France and will also play host to the 2014 FIFA World Cup final. Arena Amazonia in Manaus follows suit with wet conditions and a 40% chance of thunderstorms and expected humidity up to 80 %. Honduras, should have climate as an advantage in their clash at Manaus v Switzerland. World Cup 1998 winners France hung by a thread during their qualification for the 2014 tournament. They went down 2-0 to Ukraine in the first leg of a qualifier and were forced into a win or walk-away situation. 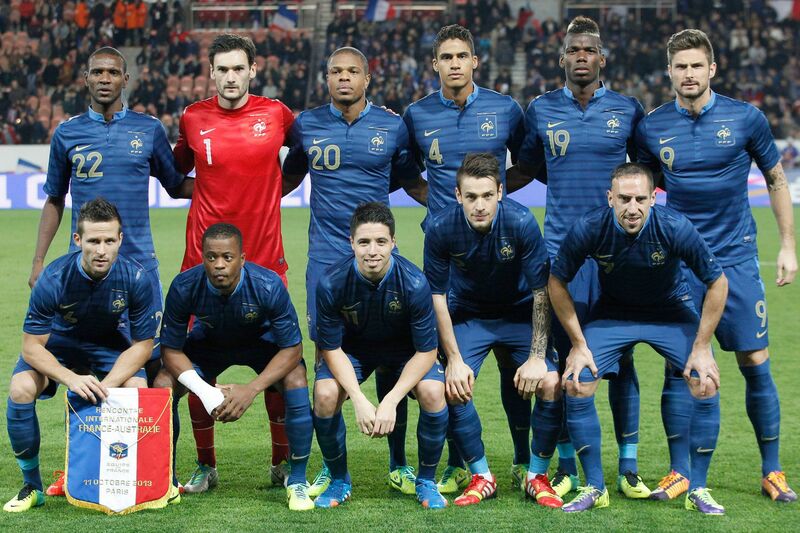 But Les Bleus came back with a 3-0 performance to aggregate a win. Didier Deschamps’ side do not provide their fans with high hopes, but they will be striving to improve after a bad run at the 2010 tournament. The team will fight with a mix of youth and experience this year. However, if we look at the goalkeeper and captain Hugo Lloris, midfielder Paul Pogba and strikers Karim Benzema and Olivier Giroud, France do have a strong spine. They also form a strong defence line with Patrice Evra (Manchester United), Bacary Sagna (Arsenal) and Raphael Varane (Real Madrid). But in a group containing mostly underdogs, it is beyond any doubt that they won’t be tested much. Deschamps will face concerns while choosing his goal-scoring options. Ribery was the top scorer with five goals in qualifiers, while Giroud and Benzema could only muster a brace apiece, however Ribery has ruled himself out with a back injury. From 1966 to 2006, Switzerland had qualified only once for the World Cup in 1994, which was held in the US. But their entry in the 2014 edition of the tournament sees them qualifying for the third consecutive time. They beat Albania 2-1 in their second-last qualifier to guarantee their place in the event with a match to spare. With promising players making the cut, the satisfaction among the squad is palpable. But judging from their inexperience, it seems they have come four years too early in the tournament. Coach Ottmar Hitzfeld may be happy with his team topping their qualification group, but the task at hand will prove to be a much tougher test. With Gokhan Inler – who plays for Napoli – leading the pack of the Swiss, they come into the tournament with only a few big names such as defenders Stephen Lichtsteiner (Juventus) and Philippe Senderos (Valencia). In the midfield, Inler and Bayern Munich’s midfielder Xherdan Shaqiri will be holding possession for the side. Meanwhile, forward Granit Xhaka, who has forged a very good reputation for himself in the Bundesliga with Borussia Monchengladbach, is being courted by a number of top European clubs, including Liverpool and Juventus. He is one player who can be tasked with rejuvenating the front line. 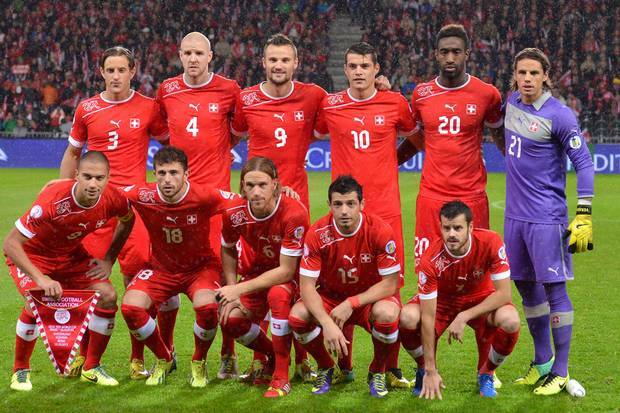 For more information, read Switzerland Team Preview. 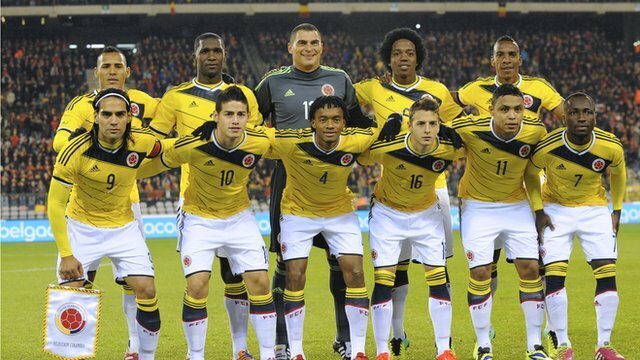 Ecuador are coming into the 2014 World Cup as a surprise package. This will be their third appearance in the tournament after they finished fourth in the South American qualification. La tri may have arrived with little historical success, but they beat Uruguay, their more well-known neighbours on the penultimate match in Quinto for a spot in Brazil. Coach Reinaldo Rueda has been playing his team in an economic style, with major emphasis on teamwork, which they are hoping will see them qualify for the second round. They will have an advantage of playing in familiar conditions as two other teams in the group, France and Switzerland, come from a more moderate European zone. Their best World Cup result was qualifying for the round of 16 in 2006, and they will be looking to equal, if not improve, this record. 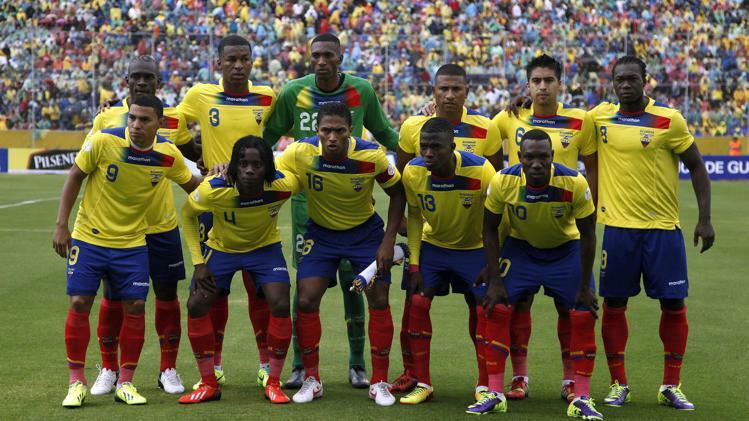 For more information, read Ecuador Team Preview. The least fancied team of the tournament, Honduras come into the 2014 World Cup by taking much heart from the defeat they inflicted upon Mexico in the qualifiers at the Azteca. The win earned them a third place in their group. However, Luiz Fernando Suarez’s side has a dearth of star names and will be relying on a collective effort of the team. Full-back Maynor Figueroa of Hull City is the only player worth mentioning in a side mostly comprising local players, a few from Chinese second division and a contingent that play in England who have had very little game time for their respective clubs. The team, which lost to Spain and Chile and drew against Switzerland in the 2010 edition, is wanting in experience and talent. The most probable result for the team seems to be a group stage knockout, and anything other than that will be a shock for the football fans. 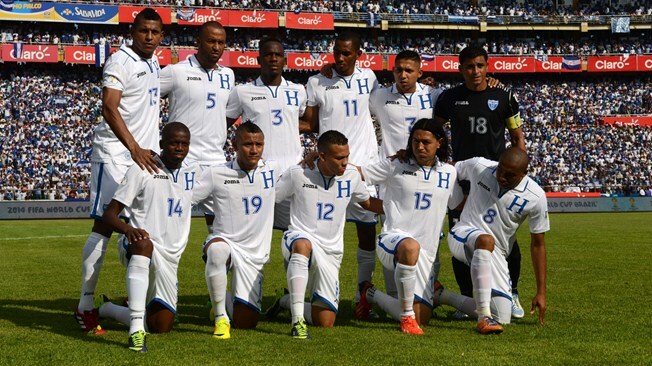 For more information, read Honduras Team Preview. Switzerland topped the European section of qualifying with a margin of seven points to the closest chasers Iceland, and the team seems to be the most promising to qualify for the second round behind France. Despite some serious performance issues with France, Deschamps’ side has some big names in its squad and they showed glimpses of their greatness against European and world champions Spain by pushing them to a draw and finally sweating it out against Ukraine in the qualifications. Honduras and Ecuador, who barely made it through the qualifiers, will surely be wary of the threat French and Swiss players pose to their dreams of qualifying for the second round. The World Cup is just a few days away and the speculations on the outcome of the World’s greatest sporting event have never been scarce. As the excitement preceding the World Cup is surrounded by an effort to analyze the early stages, we shall take a look at Group D – Uruguay, England, Italy and Costa Rica. The so-called ‘Group of Death’ indeed comes down as the most competitive of the lot, with three former World Champions who share seven world titles between them. From the perspective of history, Italy are the highest ranked with four titles followed by Uruguay having two and England one, while Costa Rica have never won the World Cup. The group of death, is compiled of teams who are equally well-equipped to match each other’s caliber. There are some exciting matches in the mix which we are looking forward to. The six matches in Group D will take place at distinct locations. The Sao Paulo Arena is the highest of the lot being at an altitude of 792 m, which could prove detrimental for England, who have been judged by Stephen Hawking as not performing properly above 500 m.
Estádio Mineirão, Belo Horizonte is the most palatable stadium which favours no specific team. With dry and warm temperatures and surrounded by mountains, the lack of wind action could be a major factor in determining the style of the teams. Estadio Castelao, at Forteleza is at mean sea level but the temperatures there peak up to 32 degrees. Coupled with that are the nearby coasts, therefore we could expect potential rains and strong winds. Arena Pernambuco, in Recife is a dangerous arena with the city averaging 224 days of rain a year, and the months of June and July being the wettest. The humidity in this region is high during these, which ensures the players would have to put their bodies in line to get results. Arena Amazonia in Manaus follows suit with wet conditions and a 40% chance of thunderstorms and expected humidity up to 80 %. Italy, whose adaptability is reportedly better than that of England, should have climate as an advantage in their clash at Manaus. Estadio das Nunas, in Natal is the most punishing arena with an average humidity of 97% in the middle of June. This could result in a lot of tiring and frequent drink breaks, with Italy and Uruguay upon whom this arena is thrust. They play the final match of the group stages here, so it could be a really tough encounter. Back in 2010, in South Africa, Uruguay defied the odds to reach the semi final with Diego Forlan leading them from the front. Their attack has come a long way since then and they possess one of the most complete striker pairings in the form of Luis Suarez and Edinson Cavani. 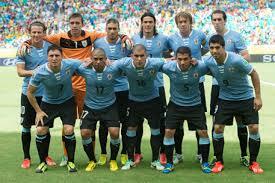 The latest FIFA rankings see Uruguay placed at 7th, and by extension, they are highest in the group. The Uruguayans could be expected to pose a sturdy challenge this time as they would want to recreate Maracanazo, the last time they won a World Cup. Their road to Brazil has been a rather shaky one with them playing the play-offs, and performing inconsistently in their qualifying rounds. They finished fifth in the CONMEBOL region and had to endure a two-legged play-off against Jordan, which they won comfortably with a 5-0 aggregate. Luis Suarez was the top scorer in the entire qualifying with 11 goals and he will be expected to follow suit in the finals, should Uruguay pose a legitimate chance of winning the World Cup. taly’s 2010 World Cup exit was a shocker, as the then defending champions exited in the first round. However, citing their strong performances in recent tournaments such as the 2013 Confederations Cup and Euro 2012, the Azzurri are a team enver to be ruled out. They are second in line to Uruguay, being ranked 9th according to FIFA’s latest release. The Italians are the only team who could match Brazil’s record of five titles if they win the World Cup. Italy were placed in a relatively easy group in their qualifying campaign and they emerged out never losing a match. Securing 22 points from a possible 30, Italy ensured that they directly qualified for the finals. Prandelli will be relying on his older players such as Juventus midfielder Andrea Pirlo, the backbone of the team, for his expert poise and pin-point passing; while he will have the experience of Daniele De Rossi, Claudio Marchisio and Thiago Motta at his disposal. Mario Balotelli will lead the cause for the youngsters in the team, having scored two goals against Germany in the semis of Euro 2012 and belting 17 goals in 39 appearances for AC Milan this season. Meanwhile, they will be supported by the expertise of goalkeeper Gianluigi Buffon, who will be appearing in his fifth consecutive World Cup. For more information, read Italy Team Preview. England, who won the 1966 World Cup at home, have only managed to place themselves in the top four since then, finishing fourth in 1990. During the 2010 World Cup, they finished alongside the US in Group C to advance to the round of 16, where they ended their campaign after a 4-1 loss to Germany. Thus, expectations on the side’s progress this year have been played down. With their second-youngest World Cup squad, the Three Lions may, however, cause a surprise through their pace and youthful nerve, led by one of England’s biggest assets, Roy Hodgson, who made the side tough to beat in the qualifying campaign, letting their goal breached just four times. Wayne Rooney, with 89 caps and 38 goals in his England career, will be the player to watch out for, but his form in the English Premier League for Manchester United was up and down this season, besides this, he can’t very well do it on his own – Daniel Sturridge will need to replicate his form from Liverpool to take the pressure off Rooney. The 19-year-old Raheem Sterling and 20-year old Ross Barkley could be the X-factor in the midfield to see the side through, with support from the ‘old guards’ of the team such as Steven Gerrard and Frank Lampard. They are ranked 10th in the world and are coming off an undefeated qualifying campaign. They finished just above Ukraine and secured a direct qualification into the World Cup. While they have had strikers such as Lambert and Sturridge rise meteorically, Rooney remains their best marksman with 7 goals from 10 matches in the qualifying. 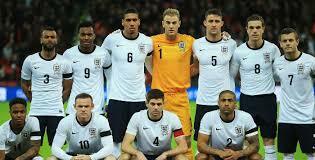 For more information, read England Team Preview. Costa Rica is perhaps the piece of meat that all of the above teams can gobble up. Unfortunately placed in a group with three heavyweights, their progress from the group stages would be nothing short of a miracle. They are the odd one out in the group as they have never won a World Cup and only made it beyond the group stage just once in 1990. They did not qualify for the 2010 edition, and this year will mark their fourth appearance in the World Cup. However, the Ticos boast probably their best group of players since the legendary Italia 90 side and qualified for the 2014 World Cup with the best defensive record in the CONCACAF. Costa Rica is ranked 28th in the world and are expected to take a defensive approach in each game. Their road to Brazil was straightforward with them finishing below USA in the CONCACAF region and earning a direct spot in the finals. Colombian coach Jorge Luis Pinto will be relying on goalkeeper Keylor Navas, who plays for Spanish club Levante and has been one of the best keepers this season. Perhaps the best-known player for Costa Rica after his spell at Fulham, Bryan Ruiz’s creative spark could help provide chances for young striker Joel Campbell, who is on loan from Arsenal to Greek club Olympiakos. Alvaro Saborio, has been their highest goalscorer in the qualifying with 8 goals. For more information, read Costa Rica Team Preview. Arguably one of the most awaited matches in this tournament, this match could turn out to be the most crucial fixture in the group. A rematch of the Euro 12 quarter final, Italy and England both possess very good squads and excellent managers. Prandelli has been instrumental in Italy’s showings recently and Hodgson has been doing his job silently. While Italy could be expected to dominate the midfield, England’s squad has pace in abundance and could do well on the counter. Their resolute defense must be up to task in stopping Balotelli and one of the rising stars, Ciro Immobile. On paper, this looks a must-watch fixture and we could hope that it turns out to be one in reality. 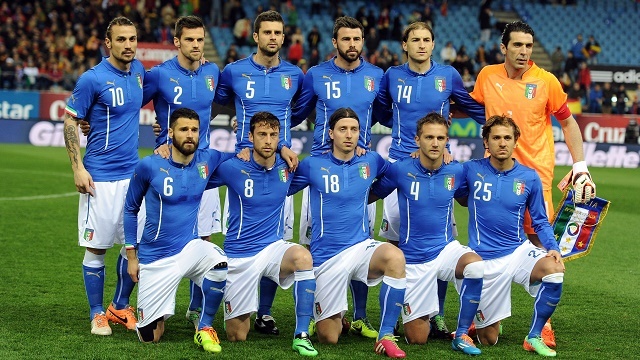 Italy’s three man defence could face their toughest game in the World Cup against Uruguay. Headed by an in-form Luis Suarez, with Cavani to support him, their mobility across the frontline gives them a real edge in outscoring the opposition. However, Pirlo would be up to task at the other end as he is likely to control Italy’s attack from the midfield. His precision and excellent conducting skills need to come to the fore as Italy would look to outsmart Uruguay from the middle. In all, this match would be essential in determining the team that could potentially exit in the group stages. This group is such that a three-way battle would ensue between the top three teams, making sure that no match can be discounted as not having any impact. Once again, Luis Suarez holds the key and would most likely be the decisive factor. Being familiar with the English players, he may just possess the key to unlocking the English defense. However, England aren’t to be taken lightly either with Sturridge heading their attack and Rooney complementing him from behind. This match would be a cracker to watch and potentially decide England’s fate in the World Cup. This is the toughest group of the lot and predicting those who will proceed isn’t easy. I am going to try and let my head rule and not my heart. The recent trends could point towards a potential exit for England. Their friendlies have been rusty with Hodgson playing around his team a little too much. Italy haven’t been at their best either but their experience could turn the tide in their favour. In either case, Uruguay is most likely to top the group. Their recent performances coupled with Suarez’s excellent form means that they are genuine contenders. The reality is any of the teams from the high-powered trio of England, Italy and Uruguay can book their place past the group stages if they have their day, with underdogs Costa Rica expected to miss out after being drawn in the ‘group of death’.